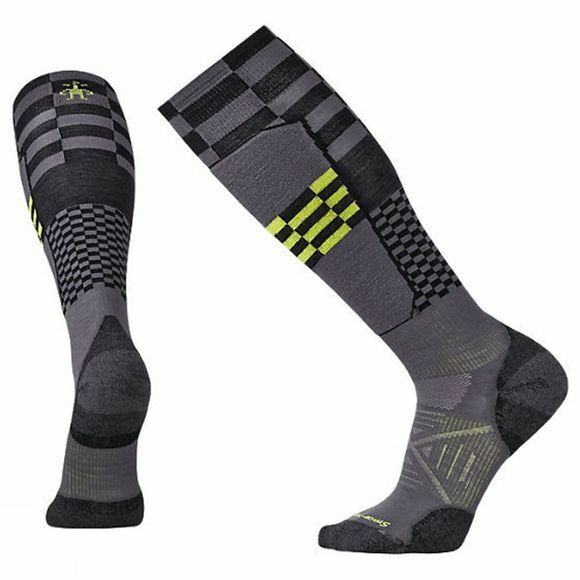 Everything about this sock was created to work seamlessly with a high-performance boot: strategically placed cushioning on the heel and toe, light shin cushion, and all the benefits of Merino to help keep you warm and dry. The 4 Degree ® elite fit system creates a dialled fit and Indestructawool™ technology delivers long-lasting wear. Indestructawool™ utilizes a proprietary yarn and construction method which strategically places Merino and reinforcement fibers where they are needed most. The result is the most durable and comfortable wool sock ever made.